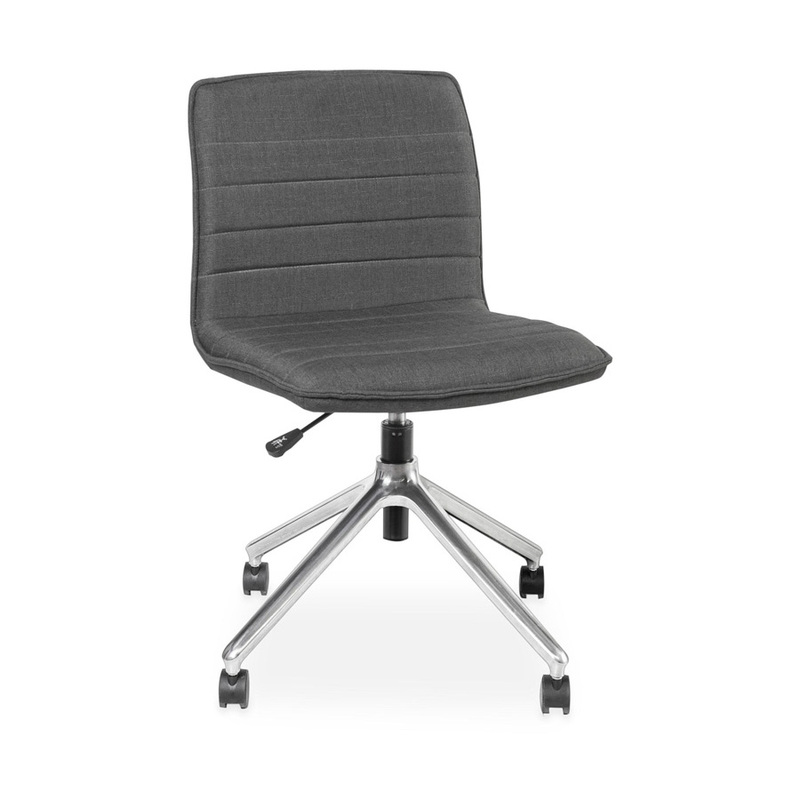 Enhance your workspace with Alex, a swivel chair that boasts sleek aesthetics and uncompromised attention to detail. Characterised by a four star polished aluminium base, generously padded seat and a unique stitching detail, Alex is visually pleasing and comfortable too. Available in charcoal fabric or black leather upholstery, Alex perfectly compliments any collaboration space. View Alex in our South Melbourne showroom or buy it online here.